Missed the merch booth on the Voicenotes tour? Now is your second chance to score this item! 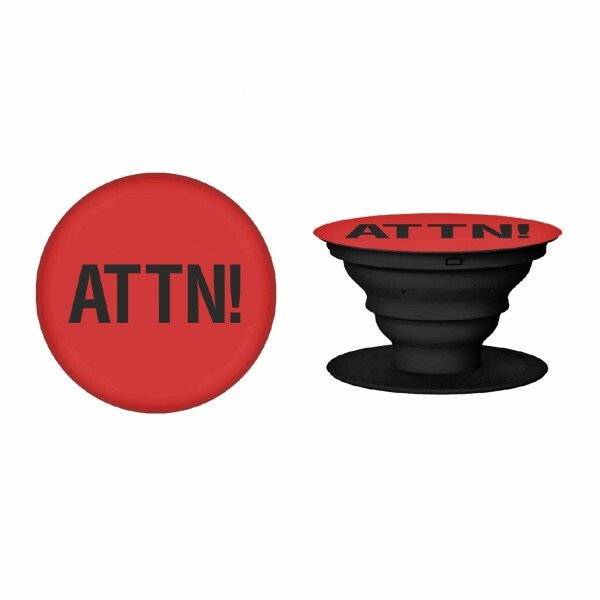 This red plastic phone accessory has 'ATTN!' printed in black across the button.